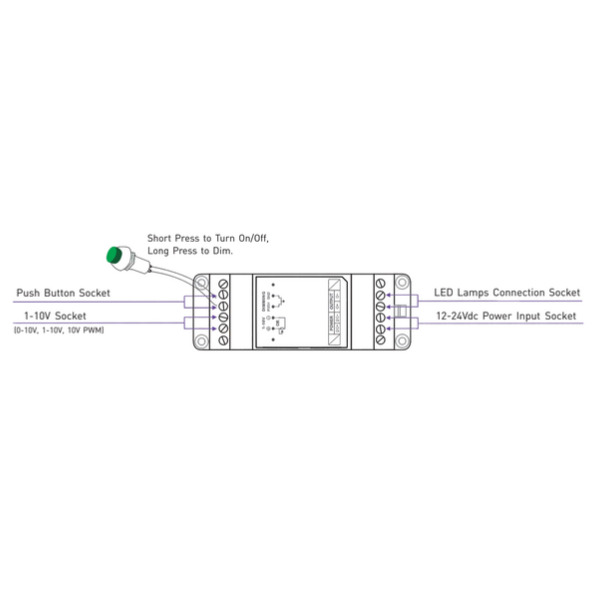 The DIN Rail 0/1-10V LED dimmer allows you to dim LED with a 0/1-10V signal. Ideal in combination with standard dimmers 0/1-10V. 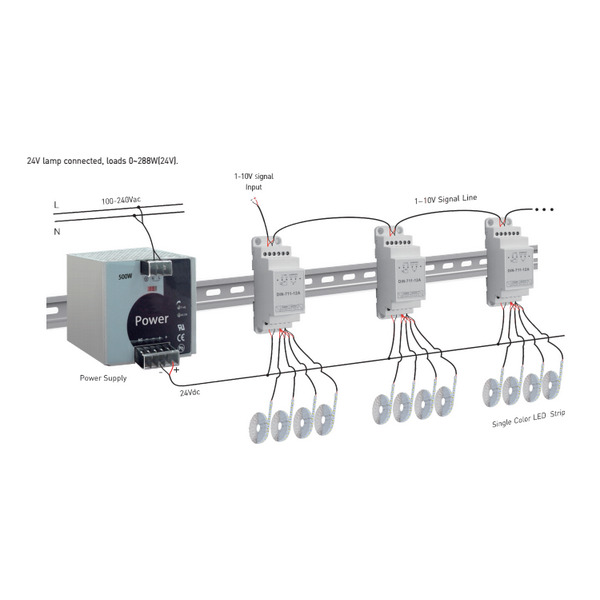 What is also unique about this dimmer, is the high output (120/240W). 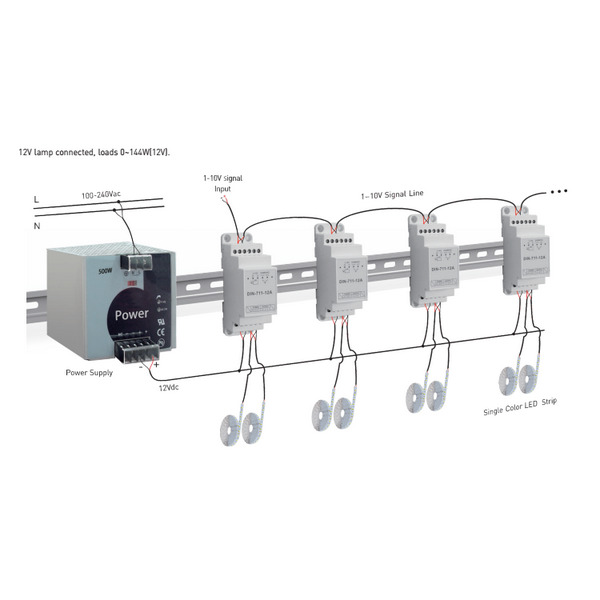 This product is very suitable for use in combination with our Single Color LED Strip. 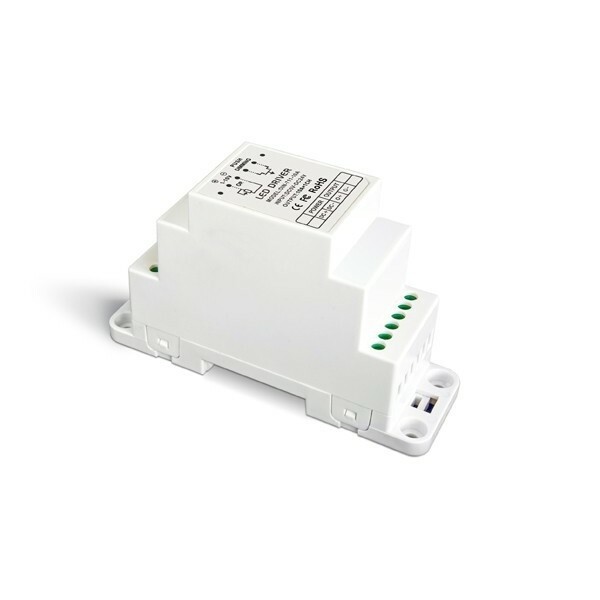 This LED controller can be easily mounted on a DIN rail.